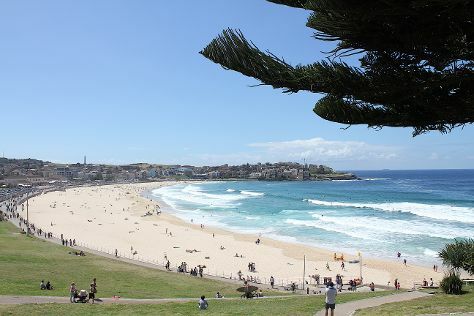 Step out of the city life by going to Bondi Beach and Manly Beach. Let the collections at Australian National Maritime Museum and Norman Lindsay Gallery & Museum capture your imagination. Spend the 17th (Wed) exploring nature at Sydney Harbour National Park. There's still lots to do: browse the eclectic array of goods at Sydney Fish Market, get to know the fascinating history of The Rocks, admire the masterpieces at White Rabbit Gallery, and shop like a local with Queen Victoria Building (QVB). To see ratings, other places to visit, photos, and other tourist information, you can read our Sydney planner . If you are flying in from Philippines, the closest major airport is Sydney Kingsford Smith International Airport. Expect a daytime high around 21°C in July, and nighttime lows around 9°C. Wrap up your sightseeing on the 19th (Fri) to allow time to travel back home.